Fed up of pots, brushes and cleaning up, when all you want is reliable gel eyeliner? Let your gaze wonder no further than Hourglass’ flawless offering: the thinnest, softest, most waterproof eyeliner formulation possible. With just a couple of clicks and a single stroke, the gel creates dramatic definition that resists transfer for extended wear. It’s available in five shades (browns, blacks and blues) to suit your aesthetic, while the sleek, chic packaging (hallmarks of the entire Hourglass range) and unbeatable performance make a welcome addition to any make up collection. Ultra-fine, soft and waterproof – everything you want from a gel eyeliner (or any liner at all, really) is on offer from Hourglass’ 1.5mm Mechanical Gel Eye Liner. 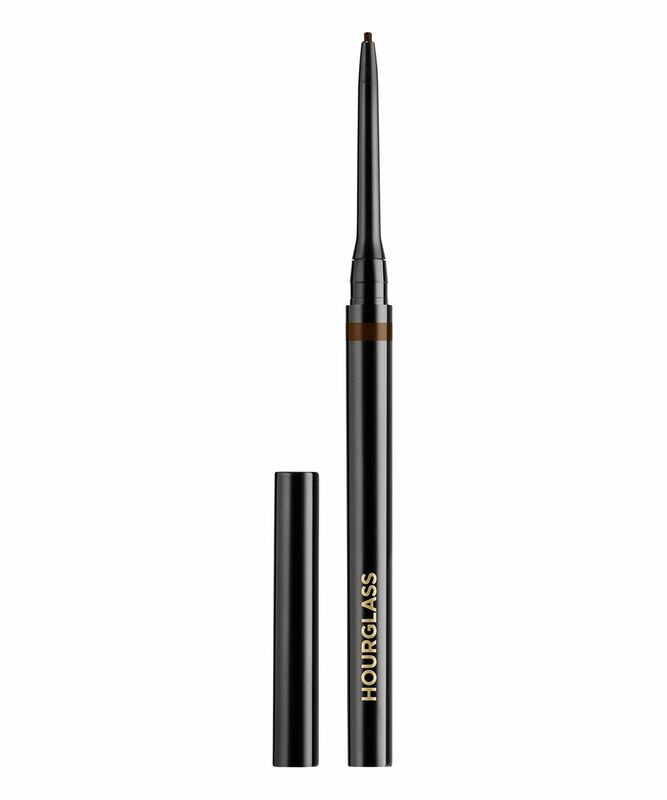 Offering ultimate precision and ease of application, the sleek, chic gel liner requires no pot, no brush and certainly no cleaning up, just a couple of clicks (to dispense enough of the mechanical gel pencil) and a single stroke will be enough to create dramatic definition that resists transfer and sticks around for as long as you want it to. 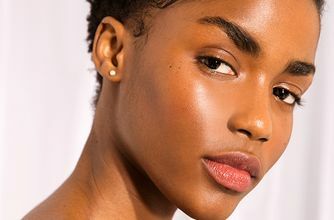 Whether you’re creating flawless feline flicks, subtle definition or finishing off a smoky eye, the moisturising formula glides on seamlessly and dries quickly and the spectrum of shades will suit every aesthetic: there’s classic midnight black ‘Obsidian’, dark brown ‘Canyon’, navy blue ‘Ocean Floor’, slate grey ‘Meteorite’ and beautiful ‘Bronze’. Ingredients: Methyl Trimethicone, Trimethylsiloxysilicate, Mica, Polyethylene, Ceresin, Microcrystalline Wax/Cera Microcristallina, Copernicia Cerifera (Carnauba) Wax/Copernicia Cerifera Cera, Dipentaerythrityl Hexahydroxystearate/Hexastearate/Hexarosinate, Propylparaben, Tocopherol, Triethylhexanoin. May Contain (+/-): Iron Oxides (Ci 77491, Ci77492, Ci 77499), Titanium Dioxide (Ci 77891). Ingredients: Methyl Trimethicone, Trimethylsiloxysilicate, Polyethylene, Ceresin, Microcrystalline Wax/Cera Microcristallina, Copernicia Cerifera (Carnauba) Wax/Copernicia Cerifera Cera, Dipentaerythrityl Hexahydroxystearate/Hexastearate/Hexarosinate, Propylparaben, Tocopherol, Triethylhexanoin. May Contain (+/-): Ultramarines (Ci 77007), Iron Oxide (Ci 77499). Ingredients: Methyl Trimethicone, Mica, Trimethylsiloxysilicate, Polyethylene, Ceresin, Copernicia Cerifera (Carnauba) Wax/Copernicia Cerifera Cera, Microcrystalline Wax/Cera Microcristallina, Dipentaerythrityl Hexahydroxystearate/Hexastearate/Hexarosinate, Propylparaben, Tocopherol, Triethylhexanoin. May Contain (+/-): Iron Oxide (Ci 77499), Titanium Dioxide (Ci 77891). The product itself is amazing, long lasting and a full coverage gel but it lasted me 4 times, that is 8 small wings in total, thin wings as well. I'm absolutely disgusted in the amount of little product I got! Do not buy this product. It would have been a holy grail eyeliner for me as well but it honestly barely lasted the 4 times! Disgusting. Mechanical ‘twist up’ functionality poor. When you twist the pencil up a little bit and begin drawing your eyeliner he pencil gets pushed back down inside. Nice colour. I use a lot of liquid eyeliners, but this mechanical liner is the best I’ve ever used - dark, smudge-proof & super easy to use. The only downside is that you’ll go through it way too fast. More product would have been great. Will be ordering again! It's perfect! I bought a Meteorite and thinking about all the other colours. The colour is deep and complex. Sits well even on my oily eyelids. I was looking for a new eyeliner in the shades of blue or green for a while and finally decided to put my chances on HOURGLASS gel eyeliner in Ocean Floor. This colour is very special and looks like kind of velvet one. Stays in place for 10-12 hours. Easy to put on, easy to wash off using usual face cleaners. Planning to try eyeliner in Meteorite and going to repurchase Ocean Floor for sure. Where do I start with this one. After a couple of uses I thought it would change the way i did my eyeliner, a-must have, go to product. East to apply, long lasting, hassle free, perfect liner. I had the multi pack in my cart read to purchase. But during my 4th application I noticed difficulties twisting. 5th application no product & the sound of a lose spring rattling around in the casing. Either after 4 modest applications the thing was empty or it had self destructed. The latter surely more likely. Gutted. I may still buy a replacement- more fool me - but this would be such a good product if the execution wasn’t just so dreadful. This went on so smoothly, the pen is fine enough to create really defined wings. Didn't imprint (usually pencil always does on me) and lasted all day. I even slept in it after a wedding I went to and was still fully intact in the morning. Lovely, matte black finish. It is a good product, very easy to make precise thin line along lash line. Nice and black, smudge and transfer proof. BUT, the biggest problem is that it breaks so easily, that I went through almost half in just about over a week as it constantly breaks. I do understand that it’s thin so might break but even a 2mm being twisted out and it will break whilst gently going over my lash line. As a contact lens wearer, this is not ideal as I had the broken off bits, fall into my eye. Like it, but it’s just too fragile. I bought 2 colours, Bronze and meteorite. The bronze colour has broken, although I have not twisted much out. The other colour is fine, don't know why it is inconsist. But never mind, it is a nice pencil.